A Talk by Dudley Hooley about SOE and RAF Tangmere. 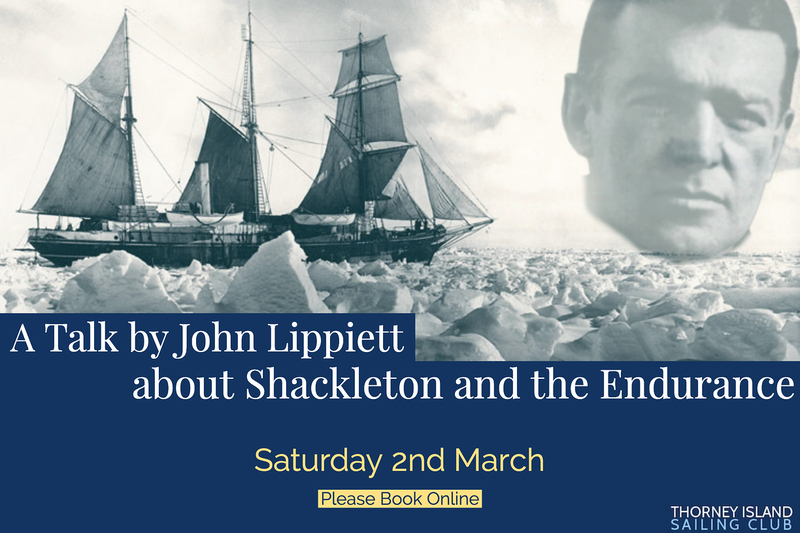 There will be a talk by John Lippiett about 'Shackleton and the Endurance; an epic story of failure and success'. It is scheduled for 2nd March. For those of you who have attended John's talks before you will know that they are excellent. Earnest Shackelton was an Antarctic explorer whose ship the Endurance was crushed in the ice. He died at the age of 47 and is buried on South Georgia Island in the South Atlantic. Afterwards there will be an American Supper for those who want to stay. Every person, members and guests, brings a plate of food to share so would those whose surnames begin with the letters between A to K please bring a savory dish and the rest a dessert, then this will, hopefully, balance the menu.